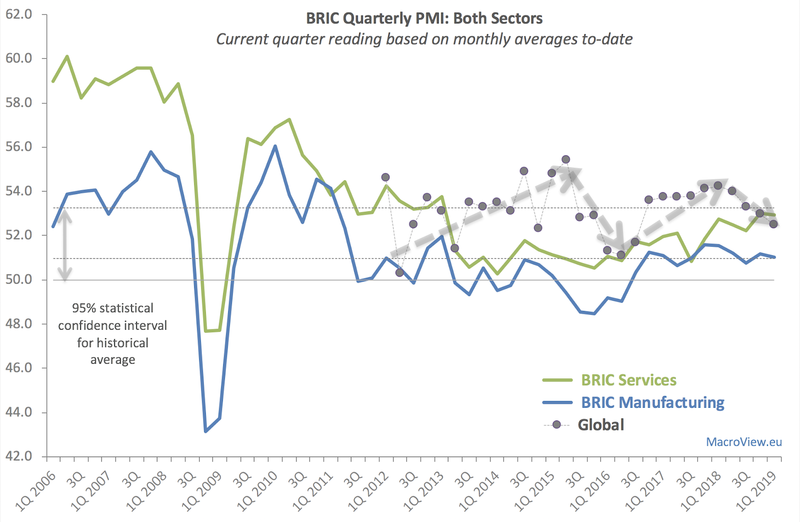 In 1Q 2019, only Brazil posted improving Composite PMI reading, with the rest of BRIC economies showing deteriorating growth conditions, in line with continued drop in Global Composite PMI. Over the last 5 quarters, Global Composite PMI has dropped from its peak of 54.23 in 1Q 2018 to 52.5 in 1Q 2019, with current reading at its lowest in 10 quarters. 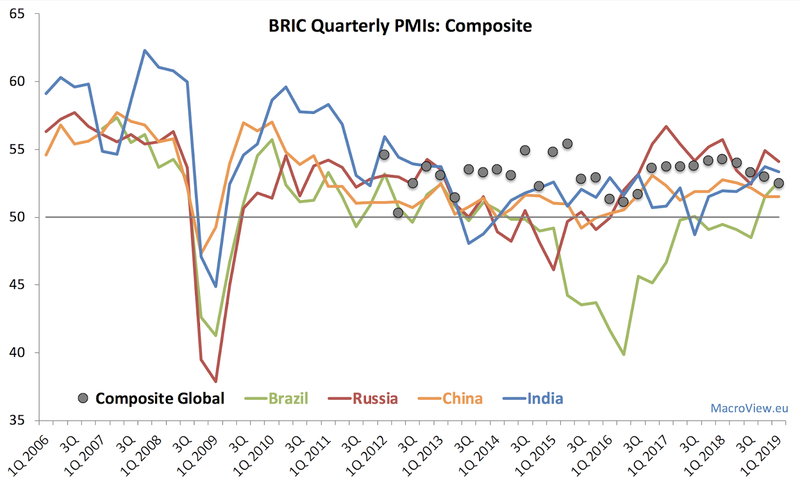 Of all BRIC economies, India and Russia are outperforming the Global Composite PMI, with Russia posting the fastest growth at 54.1 of all BRIC economies in 1Q 2019. 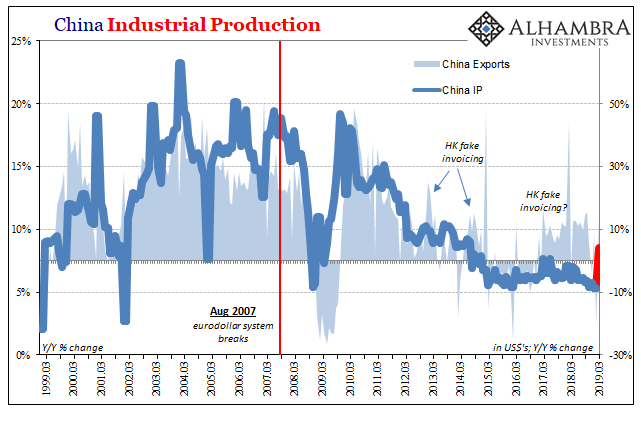 Brazil is statistically in line with Global Composite PMI, while China is a clear under-performer.